Designed by eminent architect Graeme Gunn, this stunning merchant built "Studio House"
purposely chosen to meet the specific requirements of each block, to make the most of the interesting slopes and angles. Original Tasmanian oak floorboards flow throughout the home with matt black light shades and ceiling fans to compliment the surrounding timbers and exposed beams in the kitchen and living areas. studio for Pilates classes, home business or gym. 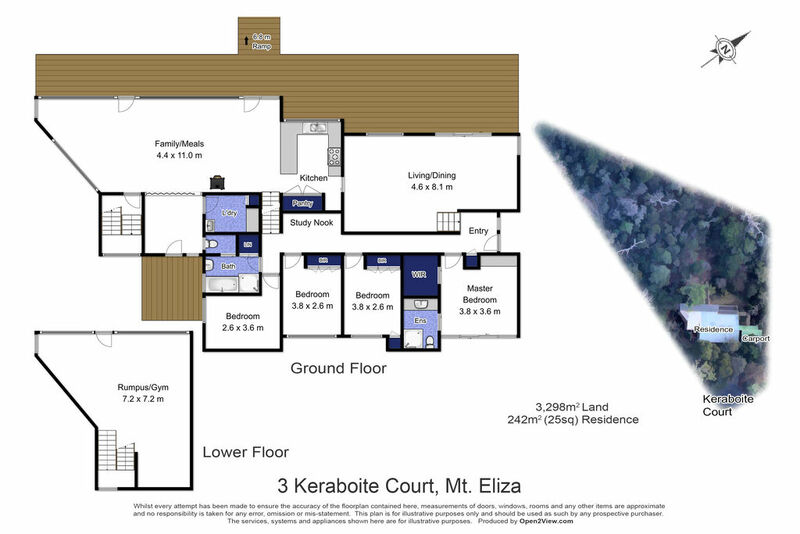 home which is on one of a handful of untouched native parcels of land in Mt Eliza.